Ranked 42nd among the 50 states in terms of total area, Maryland is one of the smallest states in the Union; however, it has a population of over 5.8 million residents, which ranks it 19th in total population as well as 5th in terms of population density, which is an important factor when it comes to car shipping, as the more people are living in an area the more popular that area typically is when it comes to shipping a vehicle to or from that area. 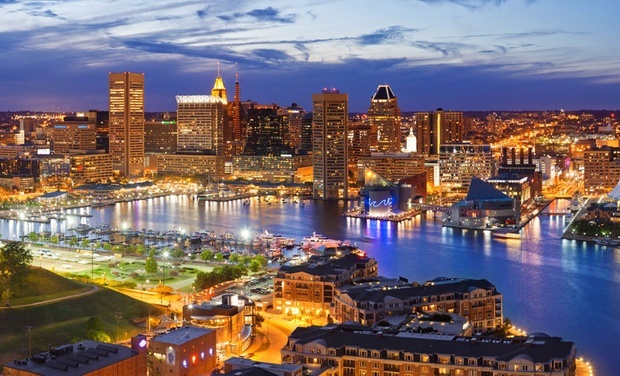 Baltimore is a major port city in Maryland, and it is also the largest city in the state. The Baltimore metro area has over 2.7 million residents within its borders and is part of the greater Baltimore-D.C. metro area which is home to over 9.3 million, which obviously includes all of Washington, D.C. as well as areas of northern Virginia. For more about this and other interesting information about Maryland, be sure to visit the state’s official website. If you couldn’t tell, by far the most popular area to ship a vehicle to or from in Maryland is the eastern side of the state, particularly the Baltimore-D.C. metro areas. That whole area is serviced by Interstate 95, one of the most prominent and heavily-traveled interstates east of the Mississippi River. It runs from Miami north through no less than sixteen states, providing transportation services to the entire eastern seaboard which is home to millions of people along its 1,900-mile journey. It passes through some of the largest metropolitan areas in the entire country including Philadelphia, Boston and New York City. This will also help your transporter keep your prices lower into and out of Maryland, as it sits right along the path. The western parts of Maryland area a bit more difficult to ship to or from considering the fact that they’re decidedly more rural and less popular from a car shipping perspective. I-68 is a smaller east-west interstate that runs through the Maryland panhandle, ultimately terminating near Hagerstown and flowing into I-70, a more prominent interstate that enters Maryland from Pennsylvania. The western parts of the state are likely going to be a bit more expensive to ship to and from, considering how few people really live out there as well as the lack of real major metro areas, so when transporting to or from Maryland on a budget chances are you’re going to see lower prices into and out of Baltimore and the rest of the DC area as opposed to western parts of the state. Regardless of where you are transporting your vehicle to or from, however, we here at Mercury Auto Transport are here to help. Simply fill out our free online auto transport quote request form and you’ll receive a customized auto transport quote in your e-mail within the next hour. You can also call our toll-free telephone number at 800-553-1828 to speak to one of our live auto transport representatives who can answer your questions and help you on the path to a great auto transport experience, no matter where you are shipping from or to. So what are you waiting for? Call us or fill out our free online auto transport quote request form and get your car shipment started today with Mercury Auto Transport.